Today I'm sharing a list of reasons why I teach. When I was in fourth grade I was in a car accident with my Mom and two brothers. I broke my leg and was in the hospital for about 6 weeks or so and then at home even longer. During my time at the hospital I had a tutor. She was a delightful older lady that asked me questions like no other teachers had asked. She challenged me to think about things in a new way. She asked questions that I had NO answers to and I loved it! I had always been a good student and loved to play school with a classroom full of imaginary students. I even took home extra worksheets and had a chalkboard put up in my room! I really enjoyed this one on one time. Something changed after I had that tutor. When I got home, my regular fourth grade teacher, Mrs.Fulton, came to my house 2 nights a week to continue my education. I loved this time. I got to work ahead at my own pace, wrote sentences that she used as class examples and could do all the extra stuff I wanted without shame. This was great! I wanted to teach so that other people could be this excited about learning. Later in high school, I got my first "big break". For two years in high school I got to teach music! One year it was beginning band and the next year it was 2 months of high school choir while my teacher was on maternity leave. I was in HEAVEN! When my choir teacher returned she was baffled that we had learned a folk song in 3 part harmony. It was simple, but we could do it. It was something that she hadn't been able to make happen with this group. She said "How did you get them to do that?" Then I knew. I knew for sure that day. I knew I could do it. I could be a teacher! Now, with 20 years under my belt, I've realized that I have always been and probably will always be a teacher. It may be teaching old folks to use their cell phones or little ones to tie their shoes or whatever. I AM a teacher. This is me at my desk. It looks crazy doesn't it? Elsa, noodle ponies, flowers, files, a big fan, a can of unsharpened pencils, Pinterest projects galore.... yeah, it is crazy. And I love it. 1. I am a teacher because I love a before and after picture. At the end of the first year of school, each kindergartener has transformed from a shy, uncertain preschooler into a confident and successful student. The go from just knowing their letters to becoming readers. They go from counting to calculating. Their growth is amazing! As a music teacher I get to see this with every grade level, every year! I love to see those light bulb moments. I love to facilitate an environment that pushes kids to be brave, to be thinkers, to be amazing. I love to see each and every one of their before and after pictures. 2. I am a teacher because I care. No, don't start playing the violins and no one call Hallmark. Well...I mean...if you want, you can. :-) I care about my students. I care that they get the very best music education that they can. I care that they find their voice and become successful. 3. I teach because I like kids. Seriously. I think 5 year olds and I have the same sense of humor. People falling down? Kinda funny. Animals dressed as people? Funny! Talking vegetables? HILARIOUS! 4. I teach because I love that kids embrace my crazy ideas with enthusiasm and an open mind. Ride noodle ponies to learn form? YEEHAW! Eat Fruit Loops to learn notation? YUM! Sing with such sensitivity and emotion that our mothers burst into tears to show that we connect with the world around us? Absolutely. And sometimes we'll even do it dressed as reindeers or holding candles. 5. I teach because I'm good at it. LOL...that sounds a little conceited. What I mean is that I have a combination of skills, talents and interests that make teaching less like a job and more like a lifestyle. I could not be a construction worker. I could not be a nurse. I could not be an accountant. Just not me. However, teaching fits me like a glove. 6. I teach because I want to live forever. Okay, maybe not physically, but have you ever consider the impact a teacher makes on each student in her classroom? What I teach this student may be passed on to their children and grandchildren and through countless generations. A part of me may live on forever in a skill I teacher, a talent I foster or manner in which I connect with another little human. That is awesome. 7. I teach because I want to find joy in my life every single day. The best way to find joy is to spread joy. Welcome to my classroom. We experience joy every day. Wooo Hoooo! It's time for Wishlist Wednesday! 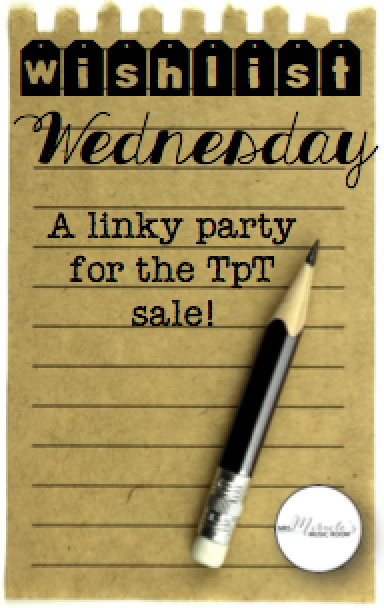 I'm linking up with the always amazing, Aileen Miracle to share some of the fabulous things that you can get on sale tomorrow on Teachers Pay Teachers. This school year we have been experimenting more with creative movement. 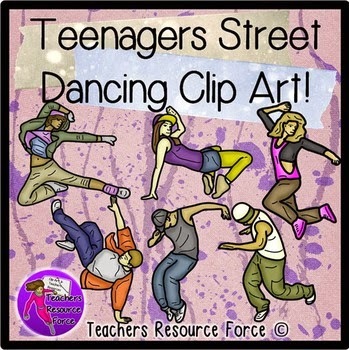 My kiddos are pretty good at doing the same action at the same time (well...you know....mostly), but we I called "freestyle" I would get lots of copycats. You can get this for 20% off tomorrow or use the code "HEROES" at checkout and you can get it for 28% off! Wowza! Have you met Kristin Lukow? 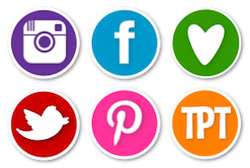 A long time digital friend, Kristin connects with her kids using innovative and create projects like these. 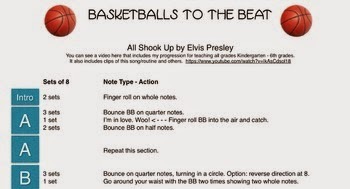 This set includes several routines to teach your kids using basketballs. I've used one of her ideas for a concert and it was a HUGE success. I love that she's put the routines on paper and that I can nab it tomorrow! I've been working on my taxes this week and am still in a little shock over the number of dollars I spent on clipart last year! Shhh! Don't tell my husband! I am buying a few things tomorrow. This is one of them. I love the style and can't wait to use them in future projects. I hope you find many useful things at the Teachers are Heroes sale tomorrow! Don't forget to use the code "HEROES" at checkout to save even more! Exit tickets are quickly becoming my favorite way to assess what students have learned in class. In the districts I have taught I see my elementary students once a week for 50 minutes. Once a week. *sigh* That just isn’t enough time! The students spend more time in the bathroom each week than they do in music class. With increasing pressure to collect data and no increase in time, exit tickets have been a life saver. Exit tickets, exit slips, exit interviews or whatever you want to call them are short snapshots of student learning. This kind of formative assessment process provides information needed to adjust teaching and learning while they are still happening. They can be submitted on regular paper, orally, on index cards or on specifically made templates. Exit tickets completed by 3rd graders toward the end of our instruments of the orchestra unit. From when I said "go" to when the walked out the door, this took 7 minutes for 22 kids to complete. This includes time to get supplies and put them up. Well, yeah but what is so great about exit tickets? They let teachers know what students have understood and retained. Have you ever had a class leave and thought “Wow. They didn’t get that at all!” I have. I’ve spent the evening fretting about what I would do next time and how I would present it differently, how we could practice it so that it made sense and wondering if they would even remember any of it. Sometimes my assessment was right on. They needed a bit of remediation as a group and another class period to go over the material. Other times I’ve been flabbergasted at what they remembered. They really DID get it, but just didn’t give me any evidence. With exit tickets, I can ask a simple question like “What is harmony?” or “Tell me three facts about Beethoven.” Their response takes only minutes and I know what they have retained. They help students reflect on what they have learned. 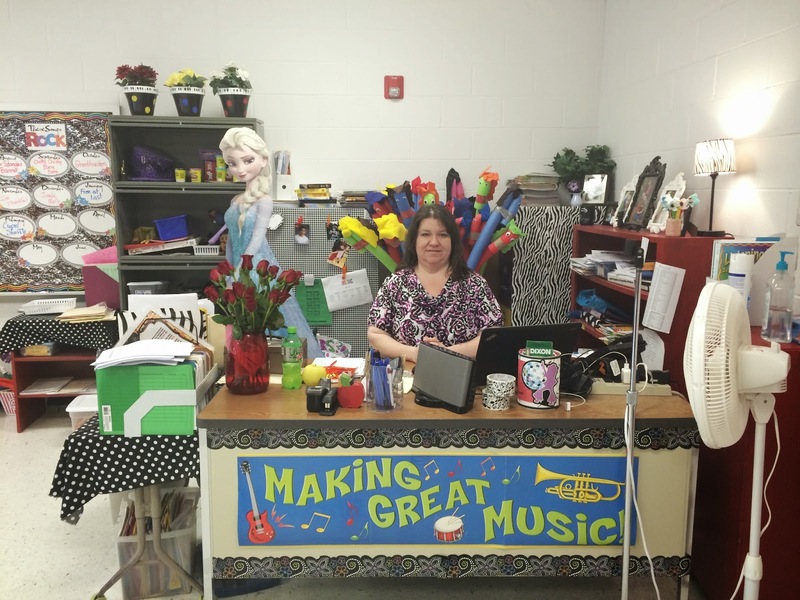 Unlike regular classroom teachers, music teachers see their kids one time a week or one time a day (for JH and HS). My students may not have time to reflect on what we have covered. We are lining up and heading out the door quickly. I don’t assign homework in music so I can’t really give them a follow up assignment or activity to complete. I wait a week and then review. With exit tickets, students can reflect on what they just learned while it is fresh in their mind. I think this helps them remember and retain what we have talked about. They help us and students identify strengths and weaknesses. I’ve seen clever pins where teachers have created different ways to organize this with folders, mailboxes, bins and trays. I haven’t invested in this yet, but love the idea! They teach students to think critically. Students get to analyze what they’ve learned. Depending on the prompt for your exit ticket, they may also get to apply it to a new situation. I love to give students ownership of their learning. Once I have created the expectation of completing an exit ticket at the end of class, some students think about that during instruction time. One student even said “I don’t think I understand. I’m gonna write that on my exit ticket so I remember to ask you about it later.” Be still my music teacher heart! Exit tickets allow you to collect data over a period of time in a time-saving way. Time is precious. Every minute counts. 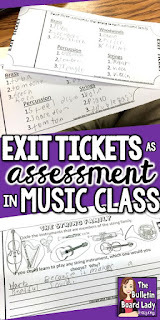 Exit tickets only take a few minutes of your class time but provide data that you can use to gauge understanding, screen for band and choir, use as recorded grades for report cards, refer to when referring students for special services and even to create a little portfolio of student work for parent teacher conferences. Exit tickets completed by third graders during our instruments of the orchestra unit. These tickets were used after our first class period of learning about the string family. Okay! I am ready to get started! I use to use exit tickets on scraps of paper. You know those copies you have left over when only 23 kids come instead of 27 and there’s no time to have them make it up? I took all of those extra copies and cut them into fourths and put them in a basket. We used those scrap pieces to write our exit ticket question, problem or comment on. Then I got a wild and crazy idea one snow day and I made prettier ones. Still simple in design and concept, but just using a more profession form for the exit ticket improved the responses I received from students. Seriously. Taking the same questions and putting them inside a little ticket graphic IMPROVED the responses I received from students. They began writing in complete sentences. They wrote more in each response. They even ASKED to do tickets if I forgot or if we ran out of time. Epic teacher win. You’ve got to do them more than once. Your students need to learn the procedure. Exit tickets are not a “sit there and think and then leisurely write down your answer” kind of activity. Plan a little extra time before doing your first set and describe your expectations. Describe the procedure for getting supplies, putting them up and getting in line. Let them know what success will look like. I do many writing activities with students so they know the procedure for getting paper, pencils and clipboards and getting to work. I place supplies in places that help traffic flow smoothly. Don’t put everything they will need on one table. Put the pencils and papers in one spot (away from the pencil sharpener if you can) and the clipboards 8-10 feet away. Practice getting supplies in less than a minute. Put a timer up and let students know that you don’t want running and pushing, but that you do expect them to be ready to work by the time the timer has sounded. Will students create a pile of their exit tickets and then line up? Will they hold them as they stand in line and hand them to you on their way out? 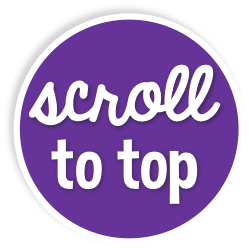 (This way is great for checking for names!) Decide what will work best for you and stick to it. This snapshot of student progress should take 2-4 minutes to complete. Use one or two questions. Write the questions on the board or on the papers they will get. I have created exit tickets for many concepts so I just use what I already have on hand. I do not need a recorded assessment for every class period. I have talked to teachers that are required to have an assessment for every class period and can’t count observation as a means of assessment. In this case I would use exit tickets as a recordable activity every time I used them. Often, I just look through the exit ticket responses, make a few notes and toss them. I have told my students not to expect their return. If I grade them, I’ll return them. This saves on time and paperwork. Are you required to keep student portfolios? These tiny assignments are perfect for that! Although I'm not teaching choir right now as a class during the day, when I did I often struggled with finding a way to assess students regularly without stealing rehearsal time. These Choir/Singing exit tickets are perfect. Questions about posture, technique and performances are included. This instrument set is what I use with my 3rd graders every year during our instruments of the orchestra unit. The samples above are from this set. Many of my students study the "Star-Spangled Banner" each year. 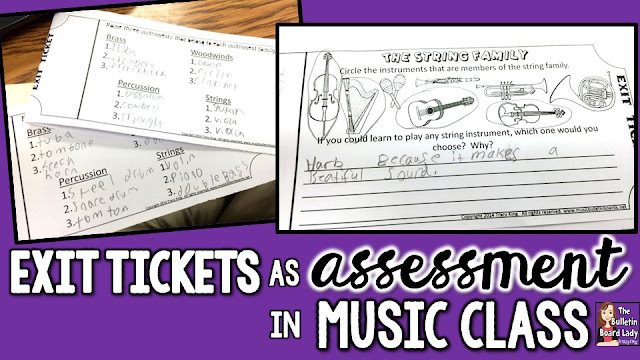 These tickets work with a variety of grade levels. 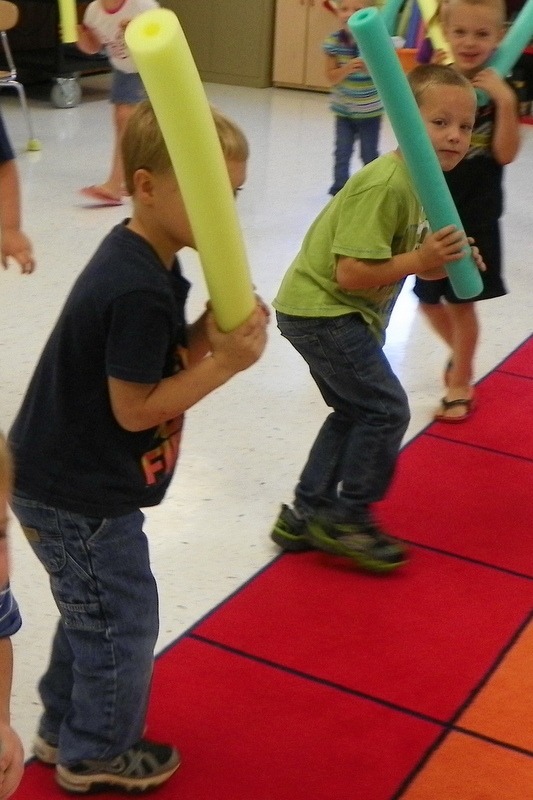 Recorders seem to take every minute of class time and every ounce of my strength to teach. I belt test as part of Recorder Karate, but not every week. With Recorder Exit Tickets I'm able to assess students without a lengthy round of belt testing every time. 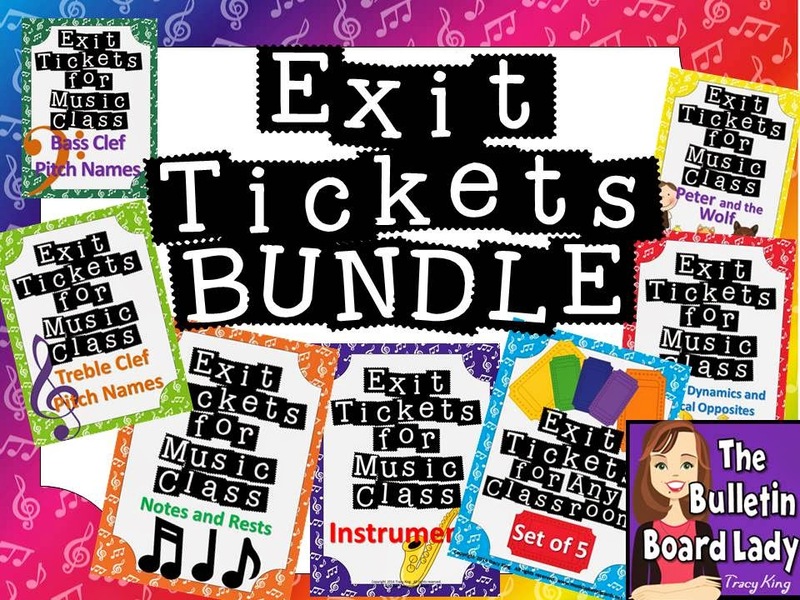 The Exit Tickets BUNDLE includes Treble and Bass Clef, Notes and Rests, Instruments, Tempo, Dynamics and Musical Opposites, Peter and the Wolf and a set of general exit tickets that you could use for a variety of topics. This is a growing bundle. Occasionally I will add another set to this bundle and bump up the price a little. 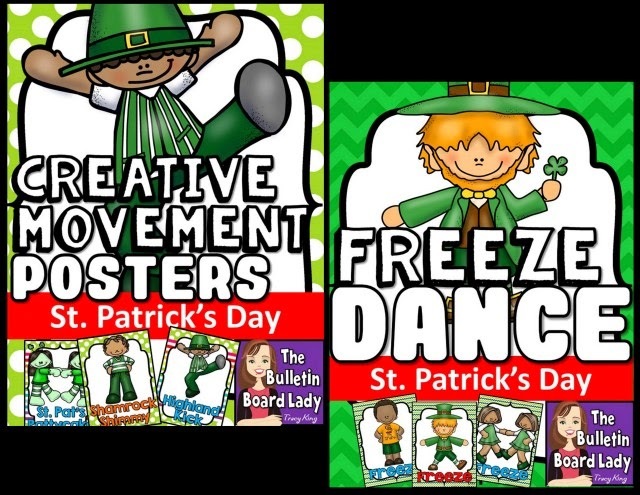 This set is great for getting started because it will let you try exit tickets out in a variety of lessons. Whew! That's a lot of information about exit tickets! 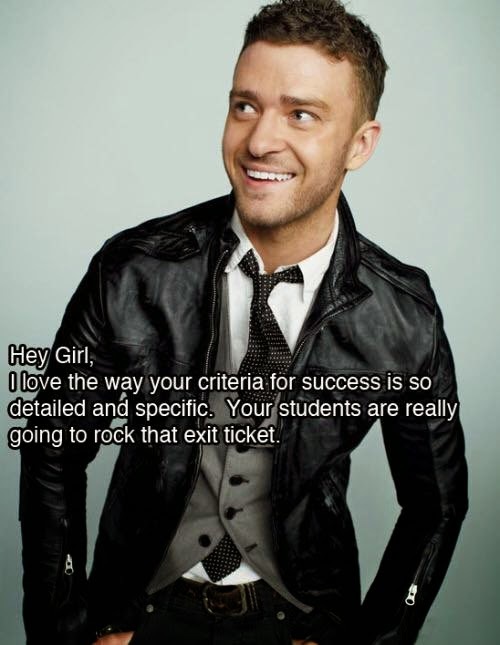 I hope that this empowers you to give exit tickets a try in your classroom.